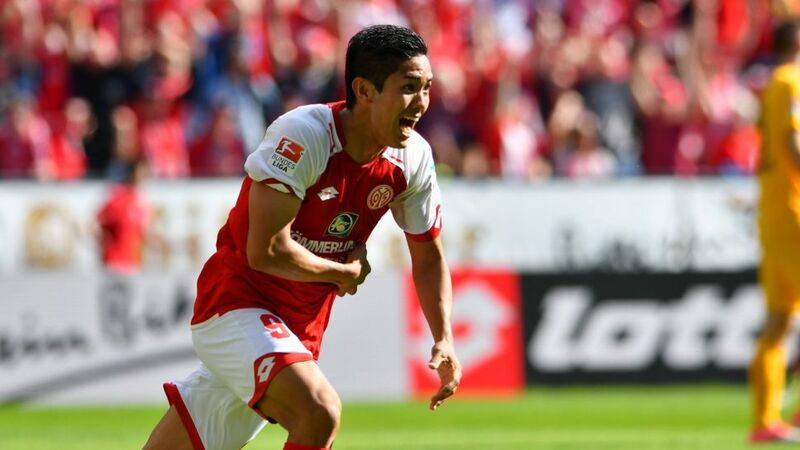 Yoshinori Muto came off the bench at half-time to turn around a 2-0 deficit into three points for Mainz in the Rhine-Main derby against Eintracht Frankfurt. Click here to sign up Yoshinori Muto for your Official Fantasy Bundesliga team! The Japan international scored what turned out to be the match-winning goal with a well-placed header from Bojan’s cross to complete the turnaround for the 05ers, who have now won their last four home games against their neighbours. Muto then won Mainz a late penalty to ensure victory and all but end any relegation fears. Was Muto's performance good enough to win the Matchday 33 #BLMVP award? If so, vote for him now below! Muto fifth goal of the season came with his only attempt on goal. The Japan international provided a goal and an assist in the same Bundesliga game for the first time in his career.Only a Hamburg win and a Mainz loss by ten goals more than HSV’s winning margin over Wolfsburg could relegate the 05ers.